What improvements and renovations should come to Olmsted parks on Buffalo's West Side? 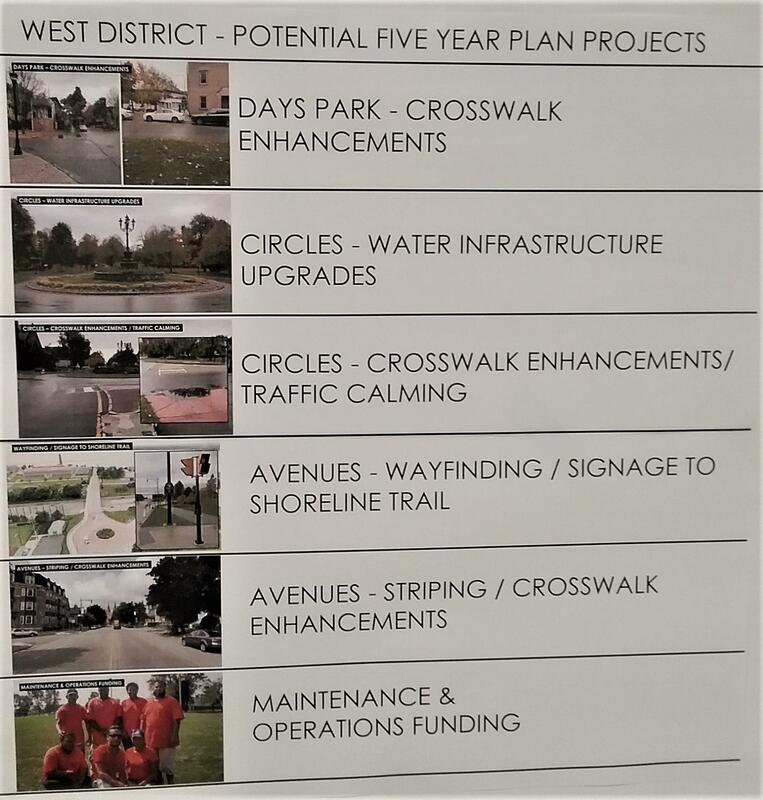 That was Monday night's topic at Isaias Gonzalez-Soto Library on Porter Avenue, as the Buffalo Olmsted Parks Conservancy continued its public meetings on a new five-year plan. The plan supposed to be ready for release in May. 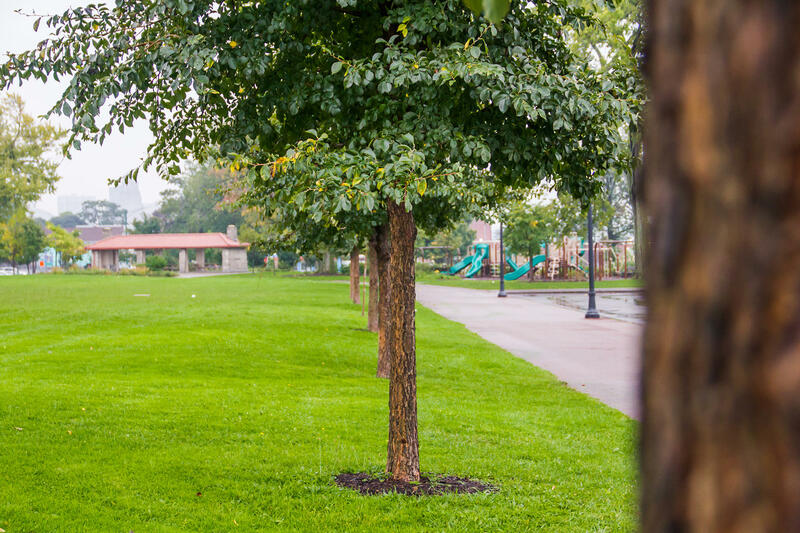 The West Side has already received major improvements in Front Park, with the removal of two access roads that restored about four acres of parkland. $50 million is also coming from the Ralph C. Wilson Jr. Foundation to city-owned LaSalle Park. Mark Cerbone said anything that is done should reflect air pollution realities in Front Park, located next to the I-190 and Peace Bridge. "Having green space next to heavily traveled highways and a plaza with 18-wheelers day and night is strategically a bad placement that the designers never would have thought of," Cerbone said. "Let's put a park here. Back then it made sense. It's different now and we need to take that into account." Olmsted Planning and Advocacy Director Brian Dold said that will be considered, along with other improvements. "People were talking about the shelter building in Prospect Park, how we need to fix that up, get that useful," he said. "Work to continue in Days Park, continuing to help make improvements with just crosswalks and irrigration in the circles on the West Side. So a lot of great small improvement projects." He said the new plan will be different because the West Side has changed so much, particularly with the vast growth in the immigrant population and kids. Niagara District Common Councilmember David Rivera described as "bookends" the vast improvements for LaSalle and Front parks. Donna Berry said a more basic problem needs to be fixed: the sidewalks. "Porter is beautiful, the aggregate concrete. To go all the way down to Days Park, up Richmond, to Ferry Circle, through to Bidwell, down to Lincoln Parkway," Berry said. "But the aggregate concrete would be in tune with what we did in the circles in the 2000s. It just makes sense. So sidewalk walkability needs to be included." There is a similar meeting Wednesday to talk about southside parks at South Buffalo's Tosh Collins Center. The Ralph C. Wilson Jr. Foundation Wednesday announced a $200 million investment in parks and trails in Western New York and Southeast Michigan. The funds will be split evenly between the two regions and are being dedicated in honor of what would have been the 100th birthday of the former Buffalo Bills founder and owner.